Every time Michelin comes out with a motorcycle tire further developing their widely acclaimed Pilot Road series, I order a pair hook, line and sinker. No, I’m not “that guy” who wears a Michelin jacket to a wedding (though I’d probably wear clothes for companies who made tires from recycled eraser heads if it paid). I’m more the type of person who weighs multiple opinions via friends while comparing whatever online performance data I can access. That’s what led me to Michelin in the first place. 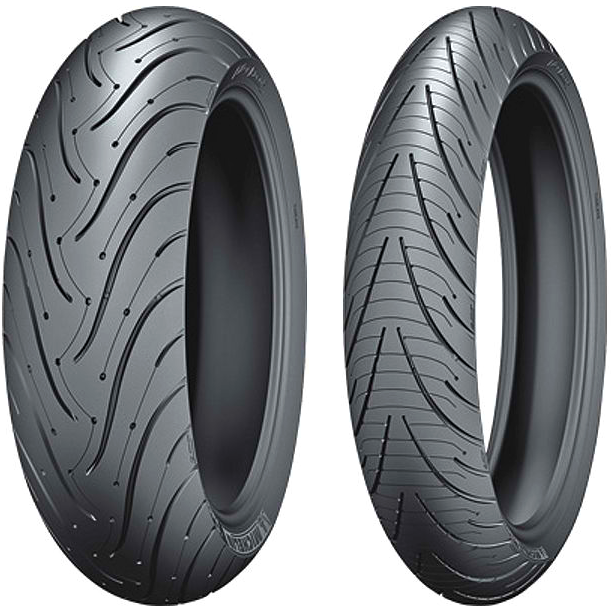 Previously happy with my sticky and trusted Avon Roadriders, I found myself drawn to the outskirts of a conversation about dual compound motorcycle tires (apparently spelled “tyres” if you ride a BMW). Eavesdropping happily, a lot of logic and reason made it’s way into both my knowledge base and wallet. My eureka moment with Michelin comes from their inventive use of multiple rubber compounds. Not that it’s a new idea but, when traveling in a straight line or even at a slight lean, there’s not as much need for handling grip as there is when cornering. A good sweeper, on the other hand, begs for that “fits like a glove” effect which only softer tire compounds can provide. Michelin’s answer to this street riding dichotomy is reflected even in the first version of the Pilot Road series whereby the center of the tire is a long lasting, harder compound. As the motorbike leans further to any side, the variable shift from hard compound to medium/soft increases toward the edge, providing more grip and a better feel. The result of this hard and medium/soft combination is a motorcycle tire which not only carves whatever twisties you can conjur between Chicago and San Diego, it can do so … round trip … more than once. Since their first rendering, Michelin has continued raising the bar for motorcycle tires (sorry, tyres). 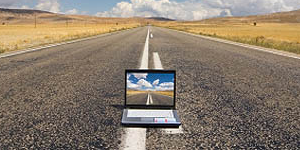 Both the Pilot Road 2 and 3 introduced a better-upon-better rain tread. My current champion of all, however is their most recent Pilot Road 4. Cue party-stopping record scratch as Greg White takes the mic. Greg White, who occasionally guest authors for this site, is a once-was-fellow Bandit owner (3rd gen, fuel-injected) and former Total Control instructor with many years more riding experience than myself. Over the course of Michelin’s Pilot Road history, he’s culled his own riding statistics into a spreadsheet only to surprise us all by arriving at the next rally sporting a pair of Pilot 2’s. His data doesn’t lie. The Pilot 2’s last longer than the rest of the collection. Contrary to Greg’s statements and great skill as a rider, I’ve chosen to continue with Pilot 4’s as I feel they grip better. Today’s Michelin Pilot 4 builds on the better features of all three predecessors, resulting in the end-all, be-all Voltron of sport touring motorcycle tires. What makes it the better tire choice over Avon, Metzler and Pirelli comes from both it’s long lasting rubber compound and newer developed multi-tier tread. Introduced with the sophomore version, a cross-cut (perpendicular) slice on the front tire delivers better traction when slowing. This peening effect, where the down force of a motorcycle’s front end compresses and temporarily expands the tire patch into a more square shape, is exponentially better thanks to said horizontal cuts in the tread pattern. At the pavement (and only at the pavement), one section of tread creases into another, allowing much more forgiveness in the corners and during hard braking. 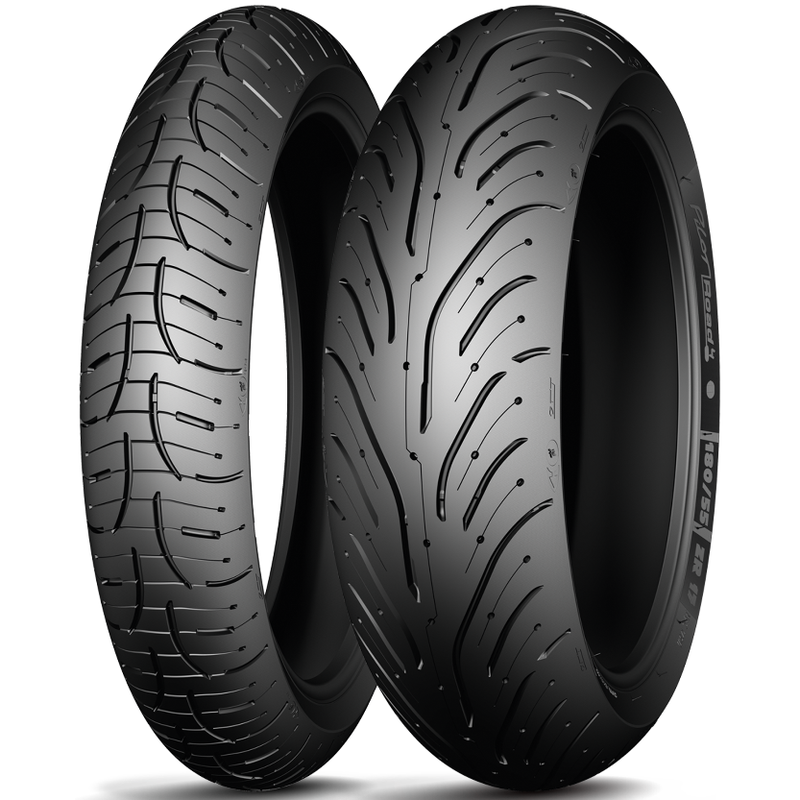 For this reason and all of the above, my current go-to remains whichever Michelin Pilot Road series motorcycle tire comes next. … with the exception of the Avons. Man, those tires are sticky. Perfect for track days! What’s Your Preferred Motorcycle Tire? 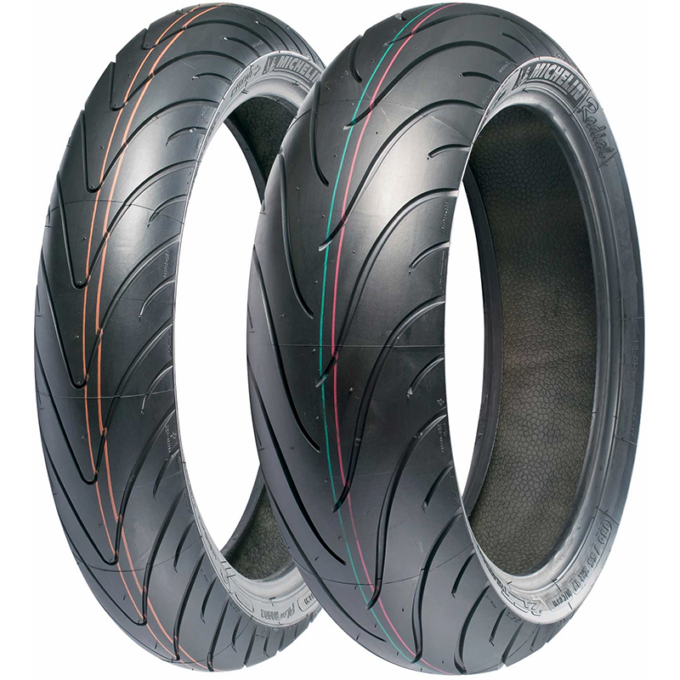 There are other great motorcycle tires on the market. Which ones have you tried? What do you like about them and why? Your input is invited. Post an article!